If you think your family is dysfunctional you’ll be glad to know that yours will appear far more normal than the ones depicted in this tragic, morose, and depressing tale. Just when you think what else can go wrong, it does. 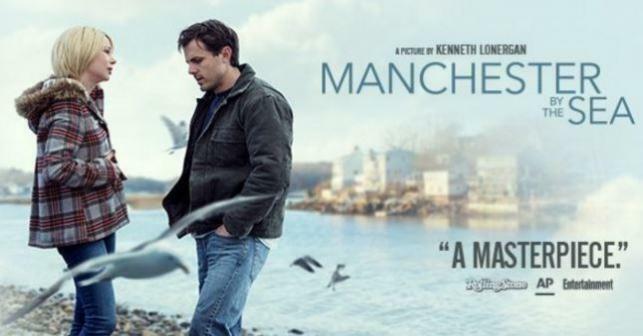 Casey Affleck plays the main role as Lee Chandler, the socially awkward handyman. The loss of his children, which he accidentally caused, is more than he can bear and he attempts to end his life after being questioned and released by police at the precinct. His behavior becomes erratic, instigating bar brawls and one wonders how he can function at all. Then he learns of his brother’s passing and being left as guardian to his 16 year old nephew, a role he does not want to undertake. Somehow he muddles through whatever life throws his way. Lee Chandler seems to be incapable of taking care of himself but somehow finds the strength to have his nephew’s best interest at heart. They find a bond that can only be achieved through the love of family. Pay close attention while viewing because there are constant flashback scenes that will throw you off guard. It is a bit slow moving and at times I wondered when is it going to end. The cinematography is spectacular and is one of the most enjoyable aspects of the film.